We’ve had many requests for some type of guide to follow when trying to find a healthier home, or to use as a tool to determine if a current home may have vulnerabilities to moisture and other unhealthy environmental challenges. This document was created as a starting point but is in no way inclusive of all factors that may need to be considered. This home was initially inspected primarily for molds with limited non-invasive methods. The family had lived in the home for several years but the husband was experiencing symptoms that his doctor diagnosed as mold-related. One particular area of the home where he felt almost immediate symptoms upon entering was the master bathroom and attached master closet. The lab analysis results from dust sampling taken at this time revealed some elevation of a water damage indicator mold called Chaetomium globosum, a mold associated with mycotoxin production. Additional molds of concern among the Aspergillus species were also significant. 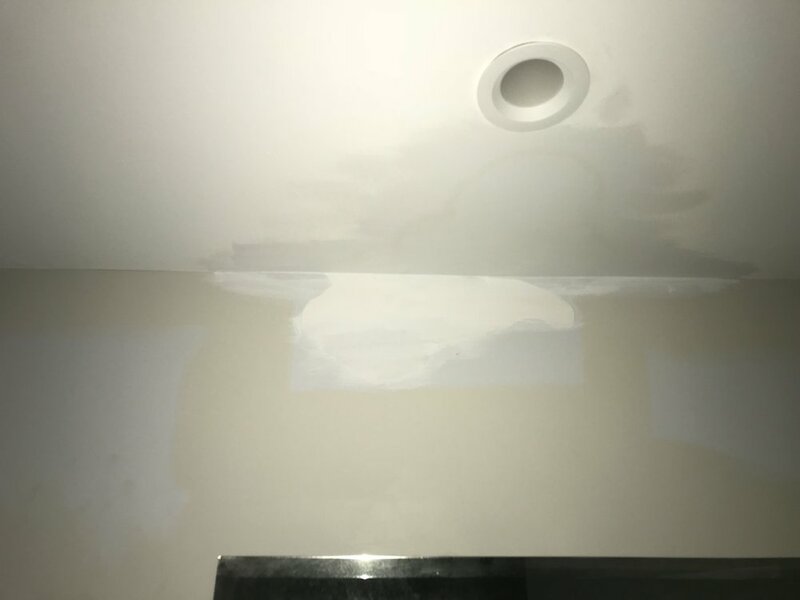 A second-phase inspection was scheduled after noting an area of the master bathroom where some painted-over patching had been done. Suspected hidden mold from a previous leak needed to be found invasively. This was performed in conjunction with a remediation contractor so containment and engineering controls could be implemented. After a small area of ceiling and upper wall was opened it was evident that the sheetrock backing was moldy. A surface sample was taken for lab ID and found to be Chaetomium, Aspergillus, Bispora and Alternaria. 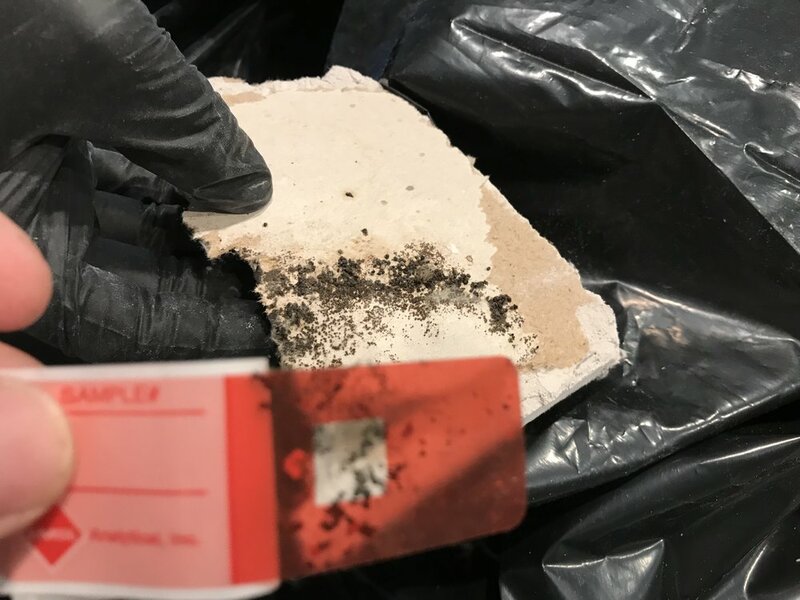 The investigative holes were temporarily patched and the contained area cleaned of residual dust along with the use of a HEPA scrubber air filter while plans were made to have the area remediated. Once remediation commenced a much broader area of water damage and mold growth was found inside the ceiling and the wall cavity. Post-remediation testing passed set criteria. The openings into the attic and wall cavity were temporarily sealed with plastic and tape until build-back took place. The sensitized occupant noted he was no longer experiencing symptoms when in the master bathroom. The question that often comes up is how much can hidden mold inside the building envelope effect occupants? There is no simple answer because so many people have no observed reactions while others can have an immediate and profound response. We do know there is a genetic factor involved that makes about a quarter of the population especially susceptible to mold and bio-toxin exposures. Care should always be taken when performing an invasive mold investigation since even tiny amounts of released mold spores/fragments and toxins can cause sensitized occupants to become ill. We find it best to coordinate this with a mold remediation contractor as a second-phase of the assessment process so the area can be contained and put under proper engineering controls. At the most on a first visit we may do a cavity air sample which only requires a hole about 3/8” to insert the tube and use the same hole to view inside the cavity with an endoscope. This may not be as definitive as a larger opening, but could mean less risk of releasing the contaminants. Either way there will be some damage to the finished surfaces which will be sealed but not fully repaired. Linda Eicher is co-owner of Environmental Services Group Carolinas LLC. She and her husband John have dedicated the past 23 years to the indoor environmental health field. They specialize in helping environmentally ill and sensitive people identify the contaminants in their homes and workplaces and guide them through the process of creating a healthier indoor environment. Linda is also an author and educator, providing course work in specialized areas of Advanced Assessment and Remediation for Mold and IAQ Professionals, serving in this role for NORMI (National Organization of Remediators and Mold Inspectors) since 2008. Don't poison your family if you break a CFL Bulb! Does your home or office have building materials or furnishings that are "off-gassing" hazardous levels of Formaldehyde? Hidden water leaks can create costly repairs. Water Damage - Take Immediate Action! 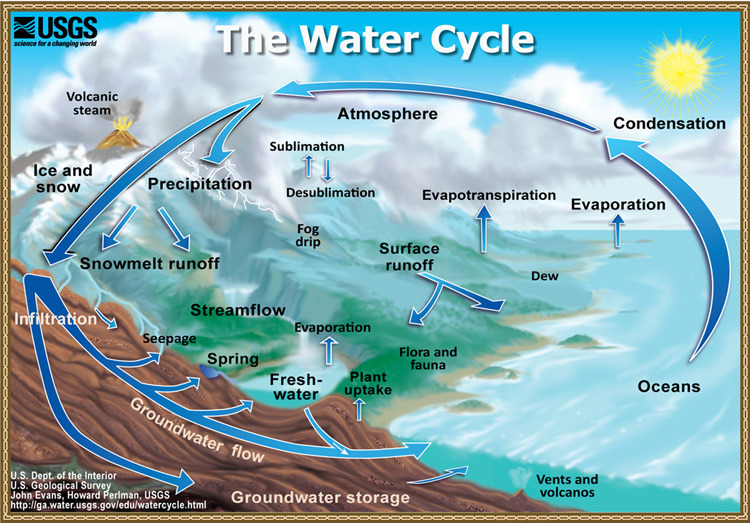 Is mold hiding in unseen water damaged areas? Could You Have a Sick Home? If you have symptoms of illness that seem to be worse or happen only when you are home, you may have a "sick" home! If you have had water damage that has not been professionally mitigated, you may have some hidden molds, possibly toxic. If you see moisture or water droplets on your Air Conditioner vents or any part of the system, you may have mold or bacteria in your ducts. If you have a crawlspace and it has dampness you may be getting mold in your indoor air - about 40% of the air in your home comes from your crawlspace. If you have a plugged up or loose dryer vent hose you may have some molds, dust and allergens in your home. If your home is on a slab you may be getting moisture vapor coming from the ground into your carpet pad or flooring, causing hidden mold growth. If you home is less than seven years old, or you have remodeled, you may have high chemical fumes that can cause sensitivities and illness. These are only a FEW items that may be causing your home to be unhealthy. So what can you do? Get professional counsel! We offer FREE on the phone consultations and we LISTEN to you and your concerns.